This PDF 1.5 document has been generated by / fCoder PDF producer, and has been sent on pdf-archive.com on 13/09/2015 at 15:21, from IP address 5.238.x.x. The current document download page has been viewed 310 times. File size: 4.9 MB (12 pages). Load capacity: 500 kg up to 100 tons. Installation utility on double rails trolley, trolley and low headroom trolley or stationary shapes. Equipped by 2 speeds pole changing electro motors or equipped by frequency inverters units. Equipped by electric / mechanic overload protector devices. Limit sw itches for lifting and cross motions. 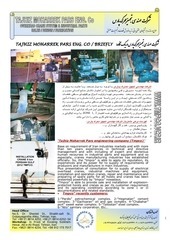 Equipped by Wire rope and rope guide w ith best quality of fabrication as per European standards. Supplying of spare parts w ith completive best prices as soon as possible. 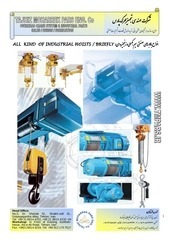 Relative certificates and documentations for hoist and hoist parts issued by reputational European centers. One year guaranty and ten years after sales services of “TMPCO” company separately. Dr. Shariati St., Tehran, Iran. Circular and square frame shapes w ith beautiful and low volume bodies. Equipped by external planetary gear unit w ith low noise and pow erful w orking. Equipped by galvanized steel core Wire rope (IW RC) and protective rope guide. Selection diversity of cross and lifting speeds. 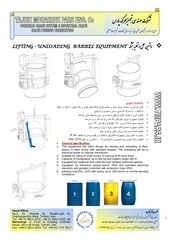 Optional (Standard lifting height is 3 or 6 m). Equipped by control pendant with EMS and isolated class IP 65. Equipped by gear unit with low noise and powerful working. Equipped by slip clutch overload protector device. Limit switches cut off for lifting and cross motions. 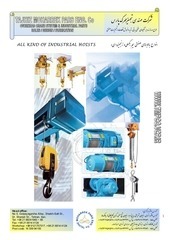 Hoist parts and C E mark and FEM standard. One year guaranty and ten years after sales services of “TMPC O” company separately. German, Bulgarian or Italian wire rope hoists according to customer’s requirements. From below table will be used for selection of wire rope hoists with reeving system 2/1. 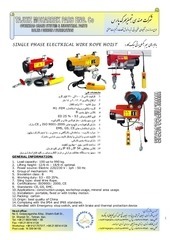 From below table will be used for selection of wire rope hoists with reeving system 6/1. This file has been shared by a user of PDF Archive. Document ID: 00301075.